The small, portable House-To-Go is a fully equipped house-on-wheels designed to travel on any road, anywhere. 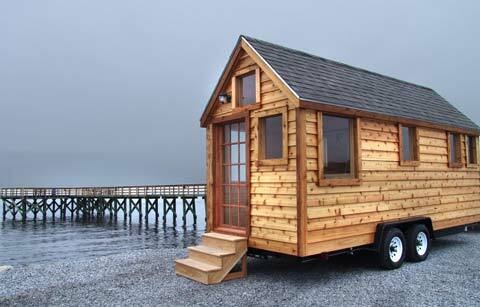 I like the idea of taking your small house with you wherever you go. Julie Martin, from The Martin House Company, also loves the idea; after losing everything in Hurricane Katrina she decided to use her expertise in restoring beautiful historic homes and start creating affordable and portable housing (with guidance from Tumbleweed Tiny Houses’ Jay Shafer). If you already read our previous Small House Living series then you already know how passionate we feel about the advantages of living in a small house. That’s why when we found out about the portable House-To-Go we just had to write about it. 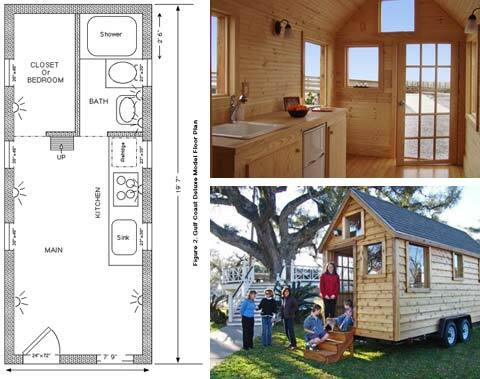 With NASA-approved insulation for extreme weather, solid bamboo floors, big, airy windows and tall ceilings, the portable Martin House-To-Go is built to the highest standards. Here’s a way how you can start fresh, realizing the potential of affordable living and adventurous travel. Ready to go? The new Martin House 2008 model is priced at only $33,900. Go ahead and get off the grid. Carpe diem, people – Seize the day! Looking for something civilized to travel in. I find the concept very interesting and see no reason why people cannot scale down and live in them . I am 51 and realize that I only have 20 or so years left . I pity the people who have to clean up my mess and “acquired’ assets when I die . Besides , my children are all adults now and we find that the 3500 square meter area we call home to be far to big to keep up alone so we have to employ help to do so . Besides , if your neighbor is a bit of a a.Hole , you can simply hook up and move . But we should all be looking at downscaling in the interest of the planet we live on . Here at Busyboo we are constantly looking for small living spaces that are both functional and stylish, hopefully people will see the beauty of living small. 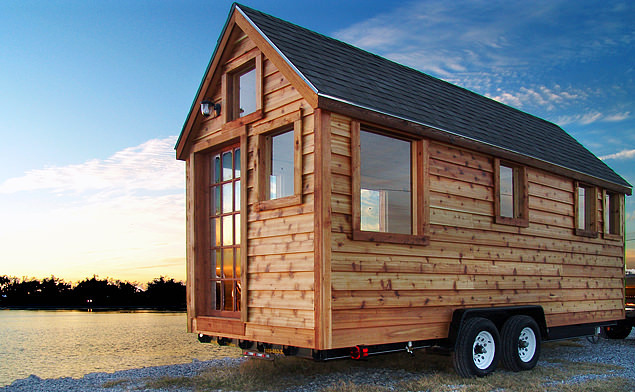 I am too thinking about building a small home on wheels because the way things are right now, it is not even worth buying a home while the banks are charging too much interest on it. Can someone offer me work outside the U.S. ? I am desperate to leave this vile nation. Come on, people! A shed on wheels? Please! Can’t live in these permanently? I have, I do, and I will continue to do so. If you don’t like these, don’t look and then go away. I can’t afford a house with land ($100,000+) and this works fine. Why do you need to cut it down??!! $4000 to make one? You need to have a REPUTABLE contractor give you price. $4000 would barely pay for the material. Go poo poo something else. these concepts work as a temporary space and can never really be a permanent space for anyone unless it is under extreme circumstances not addressed in this article or site. What is important and often over looked is that this idea can be had by any interested party by simply figuring out the design and creating s similar space for themselves for a small cost. True, it is a small shed with simple appliances, gas, water and electrical. This can be done for less than 4 thousand dollars even by a hired contractor. Let the idea capture your imagination and not your wallet! Additionally, many of the sleek concepts you see on net labeled :green,” are not even available. You have to go to Costa Rica to get a portable home. These things are cute to look at by highly impractical. I scoured the net looking for “portable” homes. 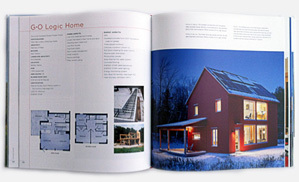 Almost invariably they are designer projects that are so out of the reach of everyday hard working folk. I contacted a few of the people, and the prices were ridiculous for sleek, tiny prefabs. That is why America is going down, because they show a lot, but provide nothing to help people who are just looking for a decent home. Cabin on wheels, I saw a guy build on almost identical for 2K, but no wheels. Look up Solacabin on utube. Hi, I’m happy to hear about your interest in this house. However, please keep in mind that Busyboo simply writes architectural reviews. For sales, pricing or shipping info please contact the manufacture. I am interested in your house on wheels. Could you tell me more? Do you have any more floor plans? This concept is not new, It’s been around since the the 1500s . It known as a Caravan, Travel trailer, RV, Camper etc. This thing must weigh a ton and would be a nightmare in terms of gas mileage and aerodynamics. to pull. The cost is off the scale IMO. If you have the money more power to you but it’s doubtful you would be buying one of these if you have money to begin with and those people of meager wealth ,who dream about buying one of these can’t afford them so it’s hard to figure out what the market is for a $35,000 shed on wheels……………………….
. Oh I figured it out, The are marketing to the gullible.